My Blogs | David Timur M.D. 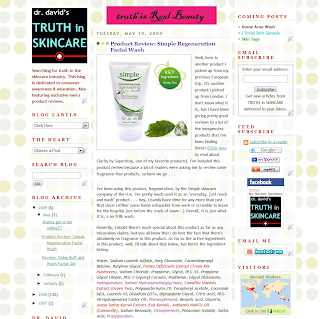 Dedicated to Educating Consumers and Revealing the Truths of the Skincare Industry. With my background in medicine, chemistry and biophysics, the more I learned about skincare products and the industry, the more I realized just how much educating the average consumer needed. The site aids consumers in navigating the maze of Industry marketing and deception. A major difference between Truth in Skincare and other sites is that I do not accept money, products, or advertising of any kind whatsoever. Dedicated to all things Testosterone. This is my main site. I write about the Muscle Sciences, Fitness, Anabolics and other Sports Medicine related topics.